Lily Thorne presents a world premiere comedy drama! 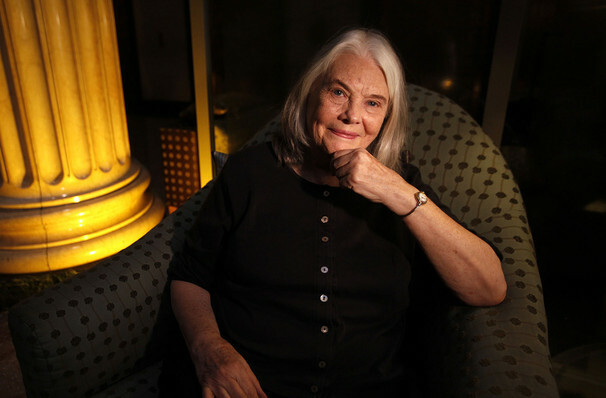 Why See Peace for Mary Frances? Ninety year-old Mary Frances is ready to die, having lived a good and fulfilling life. Born to refugees fleeing the Armenian genocide, and learning the trauma that they went through, she is determined to fulfill her last wish; to die peacefully at home surrounded by her family. However, her best laid plans indeed go awry as three generations of fiesty and determined women invade her home, each trying to get their hands on her possessions. Sound good to you? 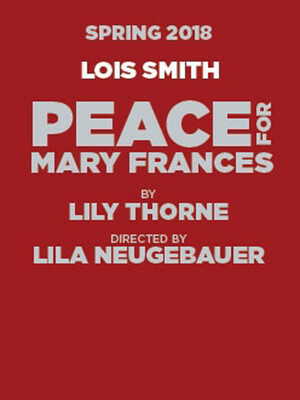 Share this page on social media and let your friends know about Peace for Mary Frances at Alice Griffin Jewel Box Theatre. Please note: The term Alice Griffin Jewel Box Theatre and/or Peace for Mary Frances as well as all associated graphics, logos, and/or other trademarks, tradenames or copyrights are the property of the Alice Griffin Jewel Box Theatre and/or Peace for Mary Frances and are used herein for factual descriptive purposes only. We are in no way associated with or authorized by the Alice Griffin Jewel Box Theatre and/or Peace for Mary Frances and neither that entity nor any of its affiliates have licensed or endorsed us to sell tickets, goods and or services in conjunction with their events.